The gephi-plugins base repository (i.e. repository plugin developers fork) is now using Maven for building and is simpler. It contains only 4 files versus 890 for the Ant-based system. All Gephi modules are published on Maven central, making it very easy to inspect and extend. Introduction of a custom Maven plugin designed to facilitate plugin development. The submission and review of plugins will be entirely based of GitHub, making it more scalable and transparent. A new online portal for plugins is coming up with an easier edit experience and new features. Unlike the Ant-based system, it’s independent from Netbeans. This allows developers not using Netbeans to develop Gephi and produce a build entirely from the command-line. Gephi modules can now be placed on Maven Central (i.e. global repository where Maven finds its dependencies). This allows plugins to automatically find the Gephi dependencies online, reducing the manual steps at each Gephi upgrade. Plugin validation: The assistant reviews the plugin configuration and metadata at each build. This allows for instance to check if the plugin depends on the correct Gephi version or remind the developer to define an author or license in its configuration. Run Gephi with plugins: A single command allows to run Gephi with the plugins pre-installed. This makes testing faster than ever when developing plugins. New plugin generator: A step-by-step command-line tool that creates the correct folder structure and configuration to get started. In the future, we want to rely on this build assistant to further automate the process and for instance do easy migration or code generation. For instance, you could ask to generate a Layout plugin code and configuration. Afterwards, all needed would be to fill in the blanks in the code. Reviewing new/updated plugins can scale because any developer can read the code and contribute to the pull requests. Developers are already asked to fork the gephi-plugins repository so submitting the plugin via GitHub is a natural extension to it. There’s a clear history of each version, comment and what code has changed from one version to another. It makes it easier to test plugins and detect issues before the plugin is approved. As part of this migration, we’ll no longer add plugins with closed source code but all existing plugins for Gephi 0.8.2 will remain available. For security and stability reasons, it’s essential that each plugin’s code can be inspected before approval. In order for this to work, all existing plugins not already on GitHub or not forking the gephi-plugins repository will need to migrate. For those already set up, the migration will be easier but Ant-based plugins will still need to migrate to Maven. In the current submission process we ask for additional information such as description, author or license as well as allow the upload of images. Going forward with GitHub, all of these data will directly be defined in the plugin’s configuration making it easier to update. Plugins are currently available online from the Gephi Marketplace, where users could also reach people providing teachings and support. We have ideas on how to improve these community services and will be migrating them to a new architecture, starting with the plugins. We will tell you more about these changes in an upcoming post but for now our focus is on developing a new lightweight plugin portal that can directly be connected with the data source on GitHub. The content of this website will be automatically updated when plugins are published or updated. The way it works is with Travis CI (i.e. continuous integration platform) simply refreshing the JSON file after changes to the plugin repository on GitHub. Developers can even embed images and write the description in Markdown. This will remove entirely the need for plugin developers to login to the marketplace, update NBMs and metadata. This new Maven-based repository along with the new submission process will be introduced with the Gephi 0.9 release. Let’s review what plugin developers need to know to bring their plugin to this new major version. As with all major Gephi release, plugins compatibility needs to be evaluated as APIs may have changed. In fact, given this new version is based on an entirely redeveloped core it’s very likely code changes will be required. Hopefully, these changes will often be minor and actually simplify things (i.e less, more efficient code). Documentation will be published on these API changes and core developers will be available to answer questions as well. Plugin developers will also get contacted regarding moving their code to GitHub with a step-by-step guide. We’re considering adding a migrate command to the new Gephi Maven plugin to facilitate the transition from Ant but that’s an unfunded project at the moment (if you’re interested contributing to that, please let us know). Stay tuned for details right after the release on the path to migration. 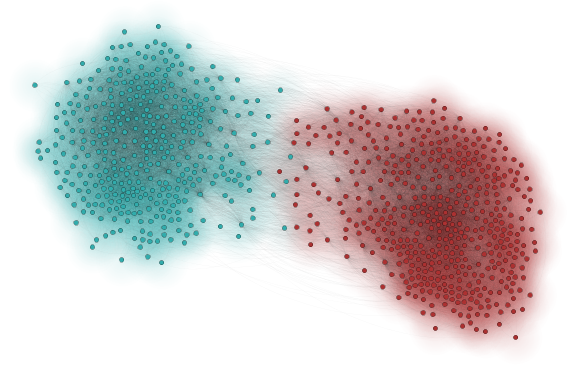 And again, thanks for all your hard work on bringing your ideas to life though new Gephi plugins! We recently finished to deploy a continuous integration environment at Gephi and I’m excited to share some of the highlights. The Gephi developer team has been hard at work to change the way we iterate and create releases at Gephi. Developer productivity has been an important theme for this year’s focus and we already made several improvements. At the end of last year we migrated our code to GitHub and improved the documentation. We then focused on plugin developers and made it really easy to create new plugins with the Plugin Bootcamp and the new gephi-plugins repository. Finally, we’re now introducing a completely automated build and release production system. Our objective was to automate the way releases are created and tested. Previously, creating a release was a manual process and included error prone tasks like updating configuration files, unzipping translations in the right folder or creating installers. Open-source tools like Maven, Jenkins and Nexus can help to make this process seamless and always have the latest deliverables available. We migrated our code base from Ant to Maven. Gephi is based on the Netbeans Platform and has more than 80 different modules with dependencies and third-party librairies. Maven makes it easy to manage a large number of dependencies and put all configuration parameters in one place. Maven has also a large number of plugins and is very well integrated in Netbeans and Eclipse IDE. A full application package, all Javadocs and sources are now produced and uploaded online with a single command. Dependencies are all defined in one place. It is also much easier to update to the latest version of the Netbeans Platform. All library JARs are dependencies to Maven Central or 3rd party repositories. No library JARs are directly included in the sources anymore. 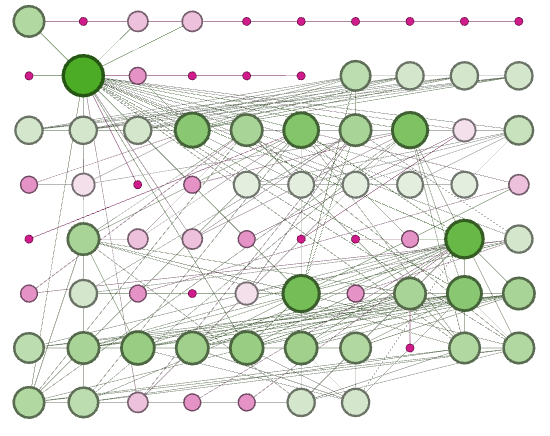 It facilitates module reuse in other projects like the Gephi Toolkit. Any other project can easily depend on any (or all) Gephi modules. Jenkins is the continuous integration server we chose to automate building and testing Gephi. It is configured to build and test Gephi every night based on the latest version of the code on GitHub. If the build fails, developers are informed something needs to be fixed. Fully automated build in a stable environment. If something is wrong, it must be the code. In addition of Gephi itself, we’re also building the Gephi Toolkit every night. Eventually, we’ll be able to build and test plugins as well. Artifacts produced are uploaded to Nexus. Nexus is a repository for artifacts, which could either be librairies Gephi is using or release binaires like the latest release. At any time, beta testers can download the nightly build and test new features. We just announced a new beta testing program, which couldn’t be possible without the availability of the nightly build. All 3rd party librairies have been uploaded to Nexus. Maven is using Nexus as a source for librairies. The nightly build packages are available for download. It also hosts the latest set of NBMs and Javadocs. We learnt a lot during this project and will continue to strengthen the developer and beta-tester environment to scale up Gephi development. So far, we’ve done the Maven migration on a separate GitHub repository but we’ll soon convert the main repository and soon after release a 0.8.2 Gephi version. We’ve created a new Continuous Integration section on the Dev Portal and documented this project. Plugin development remains the same for now and all plugins should be compatible with the new code base. In the next few months we would like to bring continuous integration to plugin developers as well. Testing at scale a large number of plugins at each new Gephi version remains a challenge and we would like to improve that. Also, we’ve seen issues where different plugins use different version of the same library and eventually cause crashes. Stay tuned for some news on that. In the next few weeks we’ll update the documentation at various places how to build Gephi and work with the code. Developers interested to try this new system out should follow the instructions on GitHub or reach to us on the developer mailing-list. 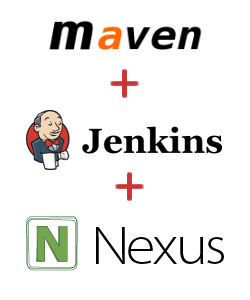 Last but not least, we would like to say kudos to Maven, Jenkins and Nexus contributors for their huge and excellent work! We’re happy to announce a new tool for the community today: the Gephi Plugins Bootcamp. The bootcamp is a large set of plug-in examples to guide developers create Gephi plugins easily. Gephi’s vision focuses on the platform and we want developers to be creative and successful. Gephi is built in a way it can be easily extended with plug-ins (layout, filters, io, preview, …) but it’s not always easy to know where to start. The bootcamp addresses this need and provide the environment and the examples to get started. Want to create a new layout? The Grid Layout example shows how to read the graph and to change coordinates. A new filter? A new exporter? Check out the JPGExporter or the SQLite exporter examples. Below is the complete list of examples and we’ll add more soon upon requests. Checkout the code on GitHub. The README file contains the instructions to get the code and to run the examples. Place all nodes in a simple grid. Users can configure the size of the area and the speed. Same example as Grid Layout but users can sort nodes using an attribute column. 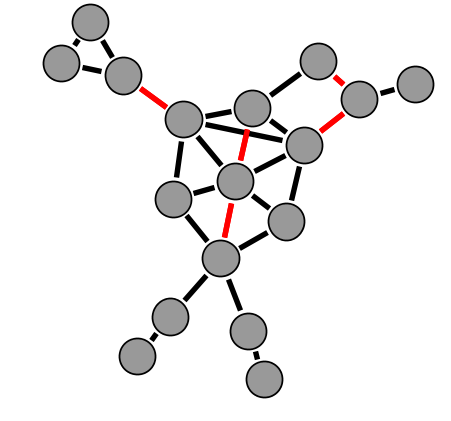 Edge filter to remove mutual edges in a directed graph. 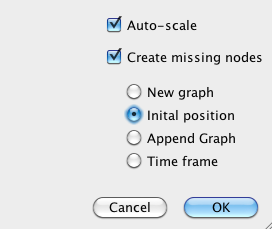 Keep the top K nodes using an attribute column. Example of a complex filter implementation which removes edges until no crossing occurs. Tool with a autocomplete text field to find any node based on labels and zoom by it. 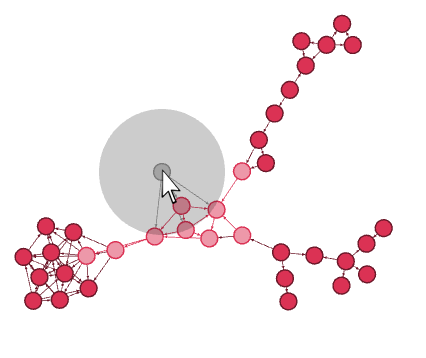 Listen to mouse clicks and adds nodes. Also adds edges if selecting other nodes. Vectorial export to the JPG image format. Contains a settings panel to set the width and height. 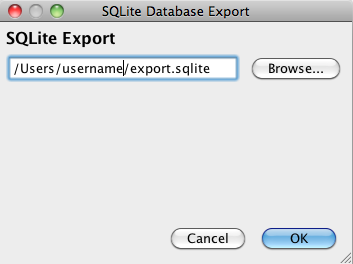 Current graph export to a SQLite Database file. 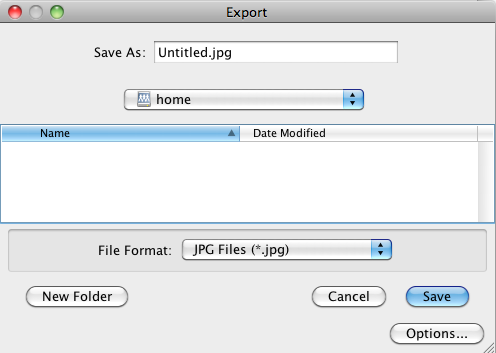 A new sub-menu is added in the Export menu and an example of a custom exporter is shown. Colors differently mutual edges. Overwrites and extends the default edge renderer. Adds a new renderer for node items which draws a glow effect around nodes. Extends the default node builder by reordering the node items by size or any number columns. Also shows how to create complex Preview UI. File importer for the Matrix Market format. Large set of matrix file examples on Yifan Hu’s gallery. Example of a statistics result at the global level. 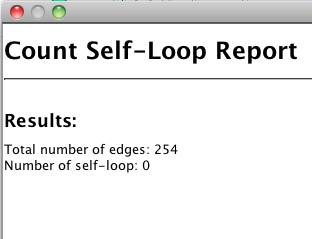 Simply counts the number of self-loop edges in the graph. Example of a per-node calculation. 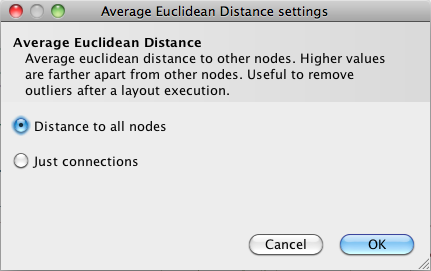 For a given node it calculates the average distance to others. Simple action which displays a message and a dialog. Action which accesses the graph and removes self-loops, if any. Action which creates a long task and executes it with progress and cancel support. Do something when the UI finished loading. Do something when a workspace is selected. Set up the nodes’ initial position always the same. It calculates a hash with all nodes so the X/Y position is randomized always in the same way. 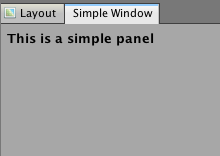 Example of a new panel plugin set up at the layout position. If you have any questions please send an email to the gephi-plugins [at] lists.gephi.org mailing list or stop by on the forum. We are happy to announce we finished the migration of our code from Launchpad to GitHub. All the code and bugs have been successfully transfered with the complete history. We can now profit from the best platform out-there and use Git, the fastest revision control system. We hope you’ll find GitHub faster and easier to use than Launchpad. The team is already appreciating how easy it is to report issues and work together on the code. GitHub has more than a million users and will make the project more visible and ease external contributions. Technically, we migrated our branches from Bazaar to Git (thanks to git-bzr) so the history is entirely kept. We also moved all our bugs with a simple script. We are still working on the details. If you see something wrong or missing on GitHub, please contact us or create an issue on GitHub. If you had some branches on Launchpad, you can find them on the GitHub repository. Let us know if you have questions. Contributors simply fork the repository and get started. We updated the documentation on the wiki. Consult the Developer Handbook. Simply go to the Issues tab. 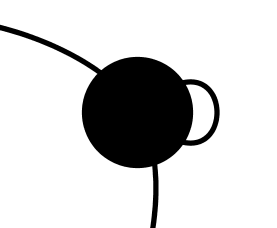 Simply run ant at the root of the repository to build Gephi. The executable are located in the dist folder. We made some improvements on the building process. Previously, Netbeans was required to build Gephi. We now integrates the platform directly in the source code so it’s not necessary anymore. It’s literally a one step process. Please let us know your feedbacks and questions as usual on the forum. This is an announcement for the first Gephi Plugins Developers Workshop October 6, 2011 in Mountain View, California. Come and learn how to write your first Gephi plugin and ask questions. The workshop is organized by Mathieu Bastian, Gephi Architect and will be gratefully hosted by IMVU. 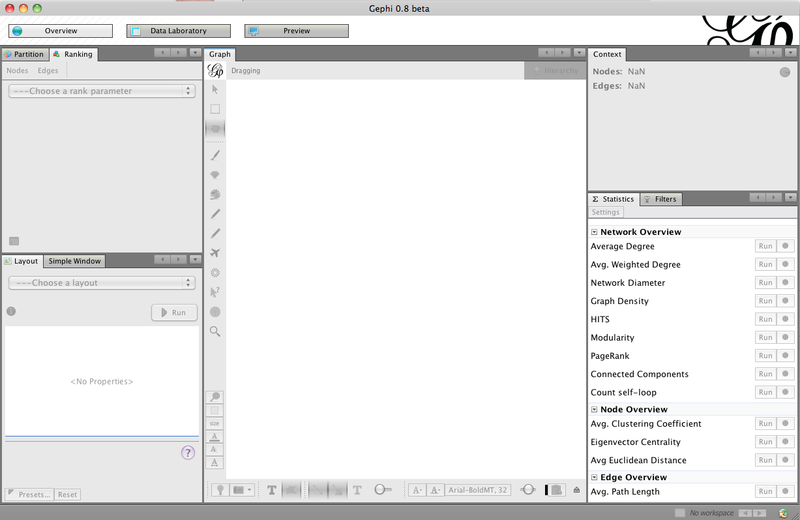 Gephi is a modular software and can be extended with plug-ins. Plug-ins can add new features like layout, filters, metrics, data sources, etc. or modify existing features. Gephi is written in Java so anything that can be used in Java can be packaged as a Gephi plug-in! Visit the Plugins Portal on the wiki and follow the tutorials to get started. The workshop will start with a presentation of Gephi’s architecture and the different types of plugins that can be written with examples. Details about Gephi’s APIs, code examples and best practices will be presented in an interactive “live coding” way. The Gephi Toolkit will also be covered in details. The second part of the workshop will be dedicated to help individuals with their projects and answer questions. Some of the best projects using or extending Gephi are developed in the Silicon Valley and we are looking forward helping the developer community. Please don’t hesitate to send us your ideas to maximize efficiency. My name is Keheliya Gallaba and during this Google Summer of Code I am working on the Automated build system for Gephi. The goal of this project is to add Maven build support to Gephi and set up a continuous integration system to fasten the release process. The Netbeans Platform, which Gephi is built upon, natively uses Apache Ant to compile, build and package the application. But now there is also a variant of NetBeans which uses Apache Maven as the build system. There are several reasons that make moving into a Maven based system worthwhile. The existing Ant build system for building NetBeans Platform-based applications which is called Ant Build Harness is very intuitive, and needs almost no initial setup. The set of standard Ant scripts and tasks can be easily triggered by the IDE or by the command line. 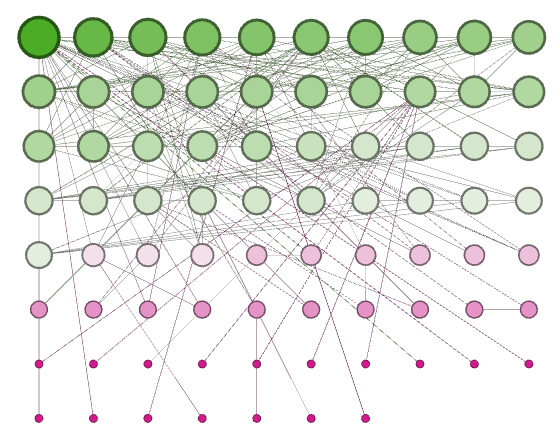 But there are reasons that Ant might not suite a rapidly growing, multi-module project like Gephi. The Gephi project consists of a team of developers who work on dependent modules and plugins. These modules have to be composed to the application regularly. With a large number of modules, with many small packages, and with multiple projects with many inter-dependencies and external dependencies, its essential to manage different versions and branches with their dependencies. And reusing modules with the Ant build harness is not that intuitive. But Apache Maven is introduced as a standard, well defined build system that can be customized. It uses a construct known as a Project Object Model (POM) to describe the software project being built, its dependencies on other external modules and components, and the build order. It comes with pre-defined targets for performing certain well-defined tasks such as compilation of code and its packaging. It makes dependency management very easy and efficient with the concept of repositories. Most importantly in maven unique coordinates: groupId, artifactId, version, packaging, classifier identifies an artifact which can be uploaded or retrieved from a repository. This helps to easily build modules which depend on other modules. This project involves digging deeper in to the Gephi’s architecture and understanding dependencies, building and packaging. Gephi includes 100+ submodules categorized into Core, UI, Libraries and Plugins sections. NBM, which stands for “NetBeans module”, is the deployment format of modules in NetBeans. It is a ZIP archive, with the extension .nbm, containing the JARs in the module, and their configuration files. NBM files can be manually installed using the Update Center and choosing the option for installing manually downloaded modules, or they can be downloaded and installed directly from netbeans.org or another update server. I’m happy to say that I was able to successfully mavenize 75 modules and continuing to complete the rest. I primarily used the NetBeans Module Maven Plugin for this, which now comes built in with NetBeans 6.9 and 7.0 IDEs. Currently NBM handles the tasks like defining the ‘nbm’ packaging by registering a new packaging type “nbm” so that any project with this packaging will be automatically turned into a netbeans module project, creating nbm artifacts and managing branding. It is also capable of populating the local maven repository with module jars and NBM files from a given NetBeans installation. and deployment of packaged binaries and JARs to share those artifacts with other developers and end-users. We are in the process of setting up a Sonatype Nexus Repository in official Gephi server as well, so not only these third party jars, but the Gephi releases such as the Gephi Toolkit can be served as a maven dependency to maven-based projects all over the world. Furthermore it can notify developers via Email, IM or IRC on Success, Failure, Error and Warning in a build or simply a Source Code Management Failure. What this means is that when a project gets updated during development, the continuous integration system will try to build the project and will notify the developers if it ran into any issues. This is very useful when working on a multi-module project with many developers, like Gephi since a developer may unintentionally, by accident break the build since they are working concurrently on code and they may have unique configurations to their development environment that isn’t shared by other developers. I looked at the options of Apache Continuum, Hudson and Jenkins (A fork of Hudson) considering the criteria, being open source, supporting Ant & Maven and better integration with Java based projects. Hudson is an extensible Continuous Integration Server built by Sun Microsystem’s Kohsuke Kawaguchi. Since the design of Hudson includes well thought-out extension points, developers have written plugins to support all of the major version control systems and many different notifiers, and many other options to customize the build process for example the Amazon EC2 plugin to use the Amazon “cloud” as the build cluster. Continuum is described as a fast, lightweight, and undemanding continuous integration system built by Apache Maven team. It is built on the Plexus component framework, and comes bundled with its own Jetty application server. Like Maven, it is built on the Plexus component framework, and comes bundled with its own Jetty application server. It uses Apache Derby, a 100% Java, fully embedded database for its persistence needs. All these reasons make Continuum self-reliant, and also particularly easy to install in almost any environment. After considering all of these reasons I settled on Apache Continuum because of the ease of setting it up, configuration and out-of-the-box support for Bazaar. Bazaar is the distributed version control system used in Launchpad for managing the source code, when lot of developers work together on software projects like Gephi. I have set up a local instance of Apache Continuum to check out and build the ant-based Gephi hourly. In the future we can host this in the Gephi server to notify the developers and administrators. Since the initial foundation has been laid out, it will be quite convenient to complete the rest of the planned work. These will include completion of mavenizing rest of the modules, creating .zip distribution, properly running the final project being developed and setting up the infrastructure at the Gephi server. 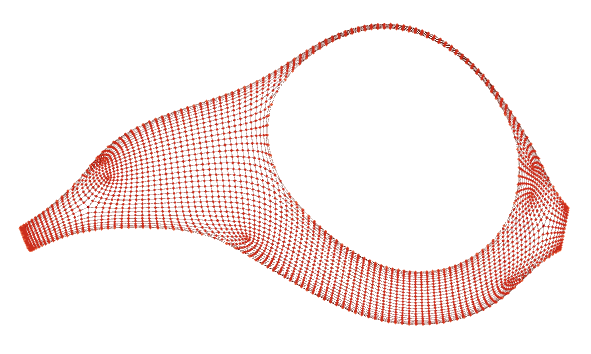 A new release of the Gephi Toolkit arrived, based on the 0.8alpha version. Download the latest package, including Javadoc and demos by clicking on the link below. Demos available on the Toolkit Portal have been adapted when necessary and tested. If you are intrested in using plug-ins from the Toolkit, checkout How to use plug-ins with the Toolkit. This summer, the student Luiz Ribeiro is working on GSoC Scripting Plugin, a project to bring advanced scripting features in Gephi, using Python. This project will work with the Gephi Toolkit, and greatly facilitate its usage.